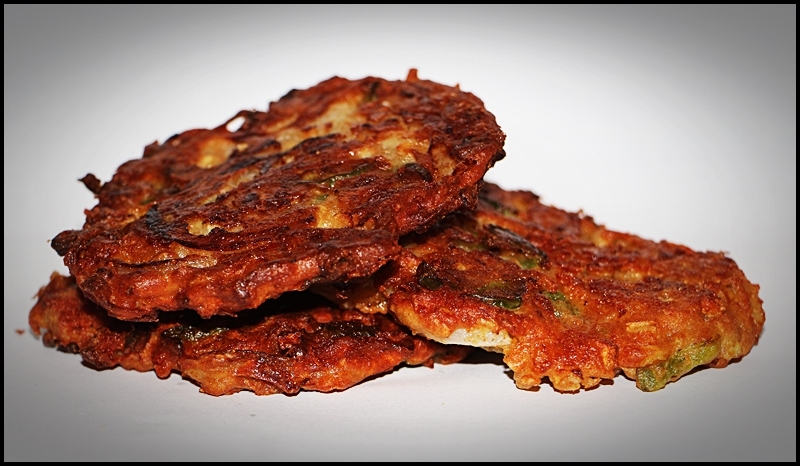 Urban Simplicity: Journal Entree 1.12.17, or how to make potato pancakes, or a day in a life. Journal Entree 1.12.17, or how to make potato pancakes, or a day in a life. In the same way that an auto mechanic may repair other people’s cars all day yet he himself drives a jalopy, I being a lifelong professional cook often have a refrigerator and cupboard that are spartan to say the least. Such was the case today when deciding on dinner. When surveying possible options I noted an odd assortment of ingredients...a couple potatoes, a half-head of cauliflower, a spaghetti squash, a bell pepper, an onion, an avocado, and a few other things. Potato pancakes is first that came to mind, and I’d also add cauliflower for added flavor and nutrition. So I peeled a potato and hand grated it. The sound of the grating brought the dogs running, hoping to catch scraps. I put the grated potato in a bowl and mixed it with a couple eggs to keep it from tarnishing while I prepared the remainder of ingredients. While removing the core of the cauliflower I noticed that some of the plant was a bit soft and gray, so I cut that away as well. A metaphor of life, I suppose; not everything is perfect but you simply deal with it, focusing on the good parts and letting things unnecessary fall away. I then chopped the florets small—the size of grains of rice—and added them to the bowl with the potato and egg. Mixing it with my bare hand it felt cold from the fridge, and the contrast of textures felt odd. After julienning a small bell pepper and half an onion I added them to the bowl as well, along with some crushed hot peppers, sea salt, shredded cheddar, and about ½ cup whole wheat flour. I then mixed everything together, put a plate over the bowl and set it in the fridge. It was late afternoon and I was planning ahead. Before heading to the local JCC for a steam and swim I texted my son, “Making potato pancakes for dinner. They’ll be ready around 6:30.” Home cooked food is always bait to a young broke college student. On my bike ride to the JCC it was drizzling a little, more of a mist than rain. What an odd winter, I thought; it should be snowing now. But I’m not complaining. And on the way home the rain had stopped and the temperature dropped. It was dark now and the streets seemed oddly deserted. I was still sweating from the steam room as I pedaled home and the cold air felt good; refreshing. My phone buzzed in my pocket and when I stopped at a traffic light I checked it. It was a text from my son, “I’m here.” I looked at my watch and it was 6:30. Arriving home, and after parking my bike off to the side of the living room with the others, I put another log in the wood stove, which was down to embers, then went to the tiny kitchen to feed the dogs. While the dogs ate I retrieved the pancake batter from the fridge and mixed it. Then while my son minced garlic I began frying the pancakes, dropping them in the hot oil by the spoonful and shaping them as they spat and sputtered. Some of the oil jumped onto my fingernail and I exclaimed, dammit!, startling the dogs. While the pancakes cooked in batches, we cooked spaghetti squash in olive oil with garlic and hot peppers. When the first batch of pancakes came out of the pan I cut one and we ate it with our hands. It was delicious and also tempting to eat the rest that way, but we refrained. When everything was complete—the pancakes, spaghetti squash, sliced avocado drizzled with olive oil and hot sauce, and a couple small peeled sweet oranges—we ate together at the kitchen counter and talked. I learned some things that have happened in my son’s life recently and he in mine. When we were finished, I wrapped the remaining pancakes, first in paper then in plastic, for my son to take with him. After he had left I put another log on the fire to keep the chill at bay while I headed out for an evening beer. The cold air felt good as I walked the few blocks to a local cafe. And as I sat sipping my beer I thought of the dinner we had together, and how delicious it was—literally and figuratively—and it was made with just a few simple things. It was a dinner, yes, but also it was another day in a life. Combine all of the ingredients except the vegetable oil and mix well. Cover and let stand for a few minutes. Mix again, then pan-fry I about ½ inch of hot oil until golden and crisp on both sides ad the potatoes are cooked. Transfer to absorbent paper.